Sponsored by the Napa Valley Vintners and founded in 1981 by a small group of winery owners, including Robert and Margrit Mondavi, Auction Napa Valley has become the world’s most celebrated charity wine event. 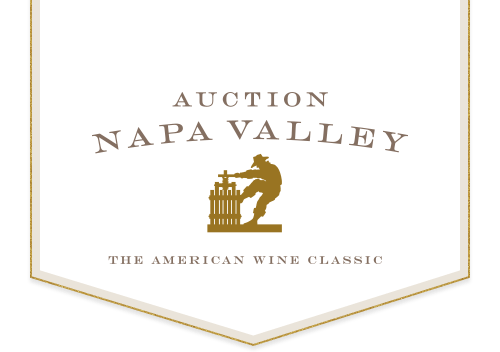 Auction Napa Valley combines Napa Valley wine, the region’s iconic scenery, vintner hospitality, creative culinary expressions and the chance for bidders to acquire rare collections of Napa Valley wine and once-in-a-lifetime experiences. and the grand Live Auction Celebration, which has been hosted every year since inception on the grounds of the exclusive Meadowood Napa Valley resort. The Napa Valley Vintners distributes proceeds from Auction Napa Valley annually to a core group of 25 local nonprofits and strategic initiatives that emphasize prevention and early intervention in the areas of community health and children’s education. We hope you’ll join us again at Auction Napa Valley 2018. Please save the date for the 38th annual Auction Napa Valley: May 31 – June 3, 2018. For more information, visit the Auction Napa Valley Website.